For the ultimate in storage space and workshop space you know you need a 3 car (or bigger) garage. It is all possible with a Homestead prefab garage. 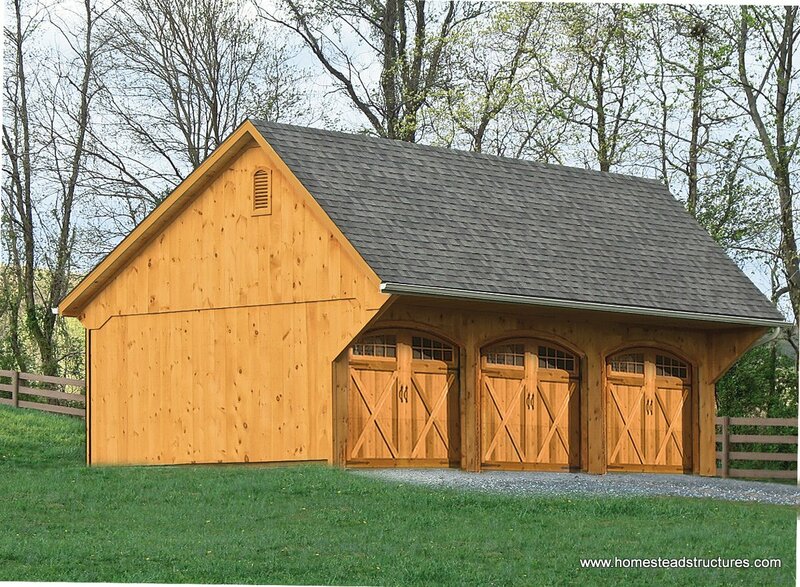 Custom built by Amish craftsmen just for you now, you really can have it all. Available in multiple different sizes, one or two story options, your garage can be custom designed to fit your specific needs. Think about what you will need in the future, and design your garage to fit those needs. Do you need a guest room? Add a second floor and convert it into a in law apartment! Knowing your current needs and possible future needs and incorporating these designs into your garage project ensures that will get the most value for your money. Match the siding on your house, or don’t, it is up to you. Maybe add a simple workbench, or an electrical package. Custom garage doors or windows can set your garage apart in design and function. Our in house design team will work with you to custom design your garage. Detailed 3-D Renderings & 2D Drawings available so you can see exactly what you are getting and how it iwll fit into your backyard.